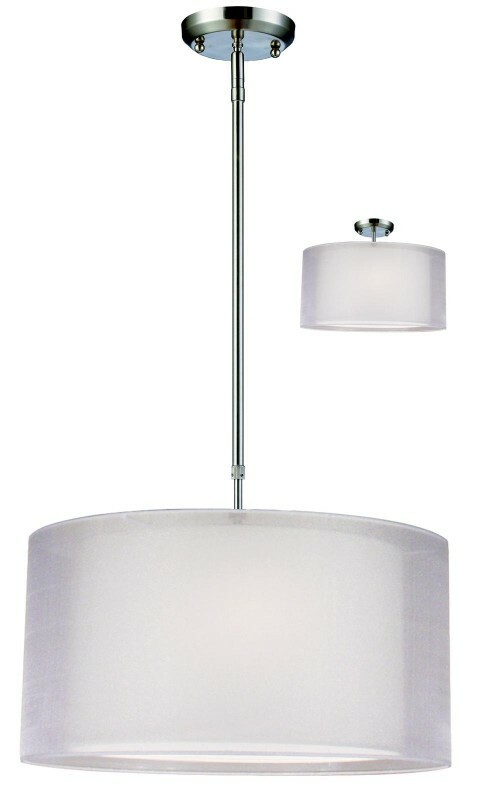 For those who want a contemporary look with a traditional glow, look no further than this elegant fixture. The inner shade is an opaque oval shade that emanates a soft glow while the outer shade is an oval, white organza shade. This fixture is finished in brushed nickel, and uses telescoping rods to ensure the fixture is hung according to the user?s needs. Also included is a removable diffuser, which can be used to soften the light, and this fixture can be installed as a pendant or semi-flush.